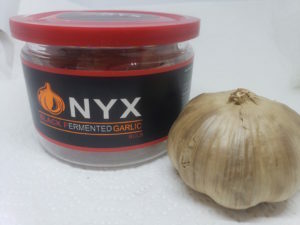 Known as a "Super Food", the practically odorless and sweet tasting ONYX Black Fermented Garlic adds deeply rich umami type flavors to all your dishes, plus it is a healthful supplement snack. 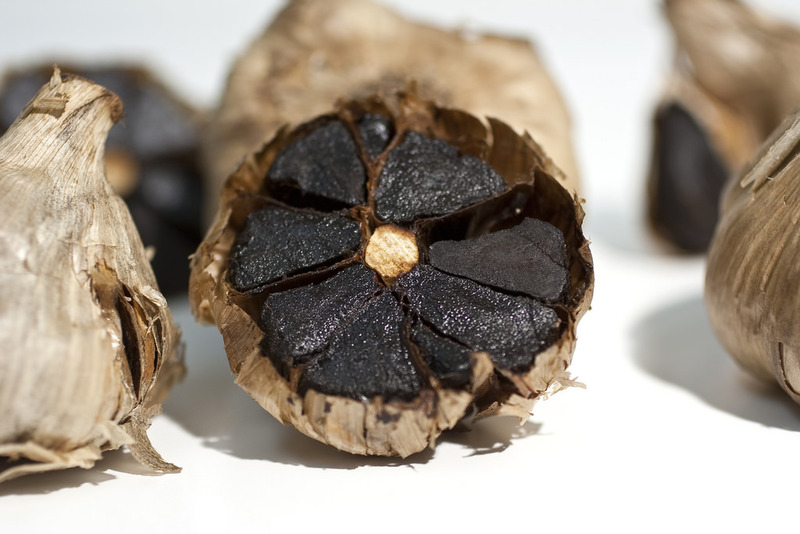 Research found that Black Garlic has more than twice the Antioxidants than fresh garlic. Also, the Allicin in fresh garlic disintegrates rapidly, however, during this "self fermentation" process our Garlic goes through it converts to highly beneficial sulfur compounds, especially one in particular: S-allyl-cysteine (SAC). Black Garlic is more easily digestible than Fresh Garlic and the nutrients are more bioavailable. Eat straight from the jar as a supplement or healthy snack. Use on salads, sandwiches, egg dishes, blend into dressings, aoli, cook in pasta, soups, stews & Gravy. Great accent on Pizza! At ONYX, fresh Garlic bulbs go through a 4 week aging process. The bulbs self-ferment in scientifically controlled conditions and are caramelized, the Garlic turns black and sweet and loses its strong odor while greatly increasing its healthful properties. I love it and eat it straight out of the jar - almost like a candy treat. And good for you too. A winner in my book! The paste added a rich depth to my mushroom gravy! We try to eat some cloves every day - love the taste and the health benefits! My blood pressure is back to normal thanks to the Lady Bulbs! 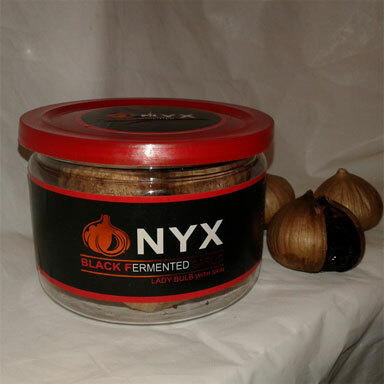 Black Fermented Garlic - Finally a way to love your garlic! Finally, all the benefits, actually more than twice the benefits of fresh garlic, without the odor, and with a pleasant slightly sweet flavor and a prune like texture. * or perfect by itself as a supplement. * During the fermentation process, garlic’s essential Amino Acids content doubles and triples, Antioxidants more than double. Sweet, with the consistency of prunes, this unique small garlic bulb is great just eaten straight - ONYX Black Garlic has twice the antioxidants and 2 - 3 times the amino acids of fresh garlic. It is practically odorless. A "Super Food" that adds rich flavor to salads, sandwiches, pizza, rice and pasta dishes. Sweet, with the consistency of prunes, the peeled cloves are great just eaten straight - ONYX Black Garlic has twice the antioxidants and 2 - 3 times the amino acids of fresh garlic. It is practically odorless. A "Super Food" that adds rich flavor to salads, sandwiches, pizza, rice and pasta dishes. Sweet, with the consistency of prunes, this regular sized garlic bulb is great just eaten straight - ONYX Black Garlic has twice the antioxidants and 2 - 3 times the amino acids of fresh garlic. It is practically odorless. A "Super Food" that adds rich flavor to salads, sandwiches, pizza, rice and pasta dishes. Delicious sweet Lady Bulbs perfect as a daily supplement or snack. Slice as topping for pizza, salads, sandwiches. Elke and the whole ONYX Team want to make you healthier! One Clove at a time!